Cybex Total Access Upright Exercise Bike is a commercial exercise bike designed to be accessible to the physically impaired but which does not exclude other exercisers. This upright exercise bike allows fitness enthusiasts who have physical or sensory limitations to take advantage of fitness training on the same gym floor and using the same equipment as those who do not. Raised console iconography: Raised console iconography and colour allows easy identification of the main controls both by colour, large buttons and text for older users, plus raised iconography for visually impaired users. Unicam pedals with heel straps: Unicam pedals with heel straps prevent user’s feet from slipping off pedals. Colour contrasted handlebars: Colour contrasted handlebar grips offer ease of identification and support when mounting and dismounting. Central adjustment for saddle: Single handed central height adjustment for saddle allows users to adjust saddle height with either hand. Seat post positions: Seat post positions have large text and raised iconography numbers for easy and quick seat positioning. The latest cost of Cybex Total Access Upright Exercise Bike will be updated soon. *Note: Most of the sites, stores or shopping portals listed above sell Cybex Total Access Upright Exercise Bike with discounts and other exciting offers. There is a possibility that the some of above websites are not selling Cybex Total Access Upright Exercise Bike now. Toughtrain.com is not liable for such cases or instances. 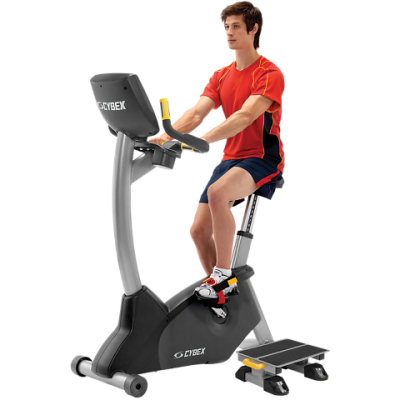 Also we do not recommend any seller for Cybex Total Access Upright Exercise Bike and a buyer should buy from where he/she gets best deal with quality of products, service and on time delivery (shipment).